Bentofix® GCL with nonwoven cover geotextile and composite nonwoven/woven scrim carrier geotextile. Also features self-sealing side overlaps. 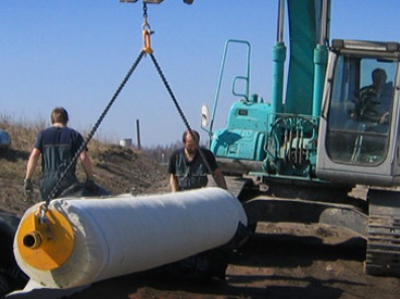 The composite nonwoven/woven carrier geotextile provides additional interface friction, with enhanced ability to minimize internal bentonite erosion. The additional internal shear (and peel) strength and puncture resistance are also characteristics of the B-type GCL. 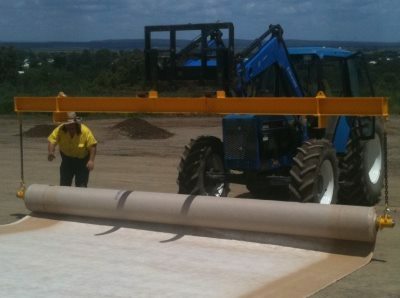 Ideal for side batters of landfill cells.